Doctor Who: The Hartnell Factor | Warped Factor - Words in the Key of Geek. Tony pays tribute to the original, you might say. People have all sorts of theories about why Doctor Who became a successful show. The concept, the range, the introduction of the Daleks, much against the will of the show’s creator, Sydney Newman. What people rarely seem to mention is the Hartnell Factor. If you go right back to episode 1, to An Unearthly Child, there are elements of interest right from the beginning, certainly – there’s that trippy interference pattern passing muster as an opening sequence, and the theme tune sounding like nothing on earth. There’s the close-up on an incongruous police box, coupled with a strange hum that draws you in. But then, with the best will in the world, it becomes just a little humdrum. Two teachers discuss a girl who’s odd. Certainly she’s odd in interesting ways, she has interesting disconnects to Earth in the 1960s, but it’s little more than a domestic drama apart from the deer-in-the-headlights panic that Carole Ann Ford gives to Susan when stumped by the stupidity of her teachers. You could be tempted to change channels, to give up on this weird little show by the point at which the teachers are stumbling around in a dimly-lit junk yard, and doing stage-tripping to lose their torch. He eats up the screen, this chortling old man with the shock of white hair and the energetic eyes. And when the teachers push their way into the police box, all pretence falls away from him. He’s intensely clever, in control, still laughing at their arrogance and their ignorance both. And there, within that first half hour, William Hartnell turns what could have been a humdrum ‘mysterious child’ drama into something utterly magical. Magical in a scientific sense, but filled with the wonder not only of its concept but of his particular embodiment of it. Have you ever thought what it’s like to be wanderers in the fourth dimension? Hmm? Have you? To be exiles. Susan and I are cut off from our own planet and our own time, with no help or protection. But one day, we shall get back. Yes…one day. 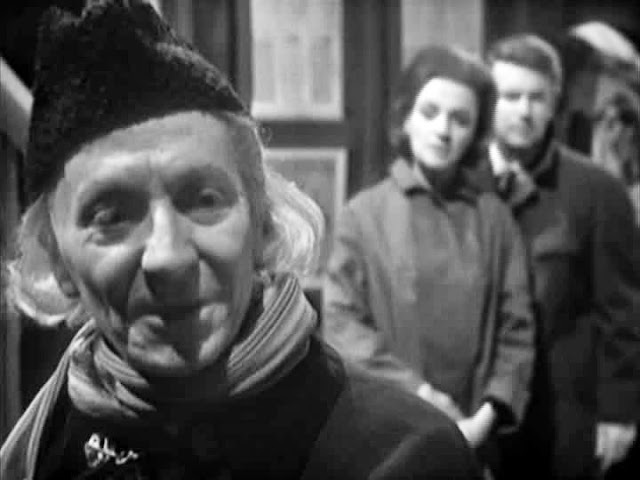 Hartnell’s arrival in An Unearthly Child is utterly transformative, and from the moment he arrives on screen, he will not let you go. There are great speeches, certainly – ‘Ship? Yes, ship. This doesn’t roll around on wheels, you know.’ But it’s Hartnell’s embodiment of the character of, as he’s credited, Dr Who, that turns An Unearthly Child into something that must be watched next week. He is quite simply the ultimate curiosity-hook. Granted, the Tardis is another, and it provides not only the backdrop for that scientific magic, but the mechanism by which the magic is realised, the wand in the hand of the magician. But it’s absolutely the Hartnell Factor that hooks you to the screen – his mastery of the material, and of its potential, allows him to be centre-stage even when he’s not the one giving the speeches. When he is, what he embodies is something more miraculous than the Tardis – the person or people who built it. It’s really Hartnell’s performance in that very first episode that gives the show its meaning and its mystery, Hartnell who puts the ‘Who?’ in Doctor Who. He makes the Doctor suspicious and humorous by turns, a man so far in advance of everything we know we can only imagine what goes on inside that white-haired brilliant head. He immediately makes companions of us all, whether willingly or through the kidnapping of our interest. He never, ever lets us go. Of course, An Unearthly Child is famous for having had two pilots, because the first was pretty much a disaster on every level. 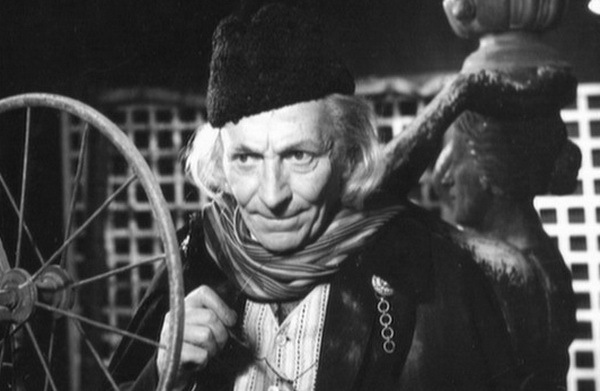 Hartnell’s original portrayal of the First Doctor is often thought to be the more ‘interesting’ by people with fifty years of hindsight, the Doctor being more spiky, suspicious, sharp, and altogether less likeable. But that’s a part of the Hartnell Factor too. Despite being notably opinionated and occasionally cantankerous, as well as very much a product of his day and his background, when he took on the role of the Doctor, he did so because he believed in the work. He believed it could be a good role, not just for him to star in, but for children to watch and aspire to. Given the unusual second chance of a re-shot pilot, he grabbed it with both hands, and without ever sacrificing the integrity of the character’s mystery – his alien nature, his towering intellect, his distrust and borderline contempt for the people of the 20th century – he lightened the Doctor on our initial meeting with him, made him this animated, intelligent, chortling character, laughing at the foolishness of ‘children’ who were really grown-ups, inviting the audience of children to join him in the secret that the grown-ups didn’t know about the magic that he understood, and that children everywhere accepted as perfectly reasonable. 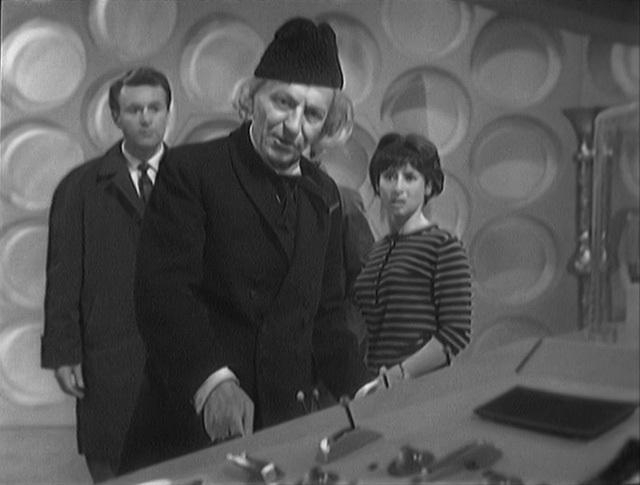 William Hartnell was a good actor who’d already had a few career highlights by the time the Doctor came along. Believing in the value of the role, putting the work in to creating a layered character, and embodying the central mysteries of the show in himself, in his Doctor he gave children everywhere a brand new kind of hero. And we are still the beneficiaries of his legacy to this day, still reaping the rewards of the Hartnell Factor in 2016 – and beyond.